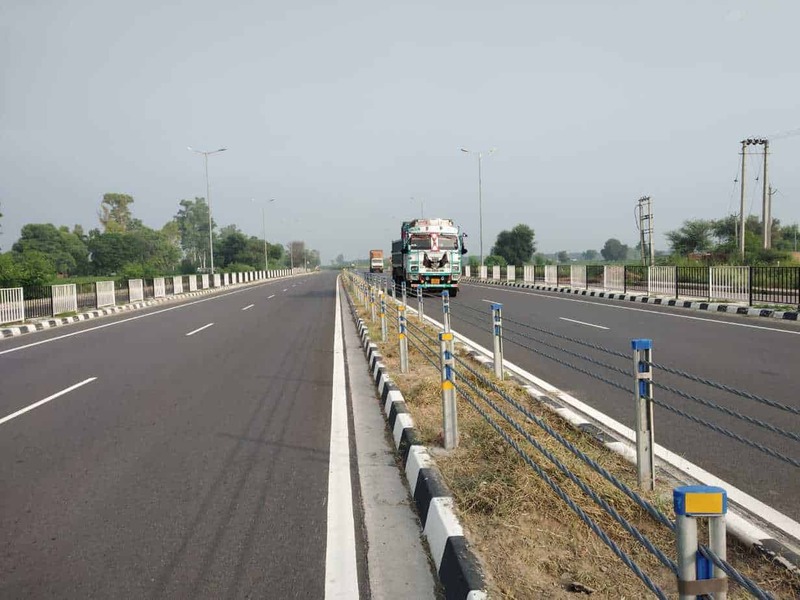 SAFENCE Wire Rope Safety Barrier are inherently double sided in nature making them ideal for Median Applications. The SAFENCE System is made of High Tensile Steel Ropes of Minimum Tensile Strength of 1375 N/mm2 and Minimum Breaking Load of 17.9 MT for each Rope, making them ideal for Median Applications. Owing to the high tenacity and minimum breaking load of 60 to 80 MT the errant vehicle is redirected back to the carriageway and cross-overs are prevented. The Softer Impact also gives lowest Impact Severity to the Inhabitants of the Vehicle and also helps large vehicles like Trucks and Buses remain upright during and after the impact. The SAFENCE WRSB is suited for all kinds of Medians i.e. Flushed, Raised, Depressed or Reduced Width and form the backbone of over 3000 km 2+1 Road Network in Sweden with median widths as low as 0.5 meters.